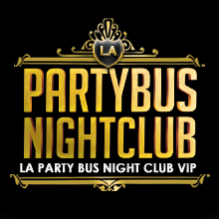 Best Exclusive New Years Event in Los Angeles · NYElectric 2017 · Los Angeles Top New Years 2017 · Where to NYE Party in L.A. Sat., Dec. 31st 2016, 9:30 PM – 2:00 AM PST. Ring in the 2017 New Year at the NYElectric W Rooftop 4th Annual New Years Party. The W Hollywood Hotel is always one of the most amazing New Years LA nightlife destinations. You can hit up the W’s Rooftop any day of the year, but with its 360 degree downtown skyline-meets-Hollywood-Hills view, this trusted destination still serves as a stellar locale for NYE. Inside, the night is made special not by LED walls or caged dancers, but by DJ talent that knows how to capture the energy of a party and elevate care-free rug cutters to the next level of joy. Listen for feel-good house and deep-beat sets. Or, steal away for a pensive, one-on-one moment with nature or make-out sessions in a cabana alongside the WetDeck—this is New Year’s Eve 2017 in LA, after all. Your New Years Eve plans have been officially set! So get ready for a celebration of sheer nightlife indulgence at its absolute finest. Party favors, a countdown that will be second to none in America’s favorite city and world renown W Hollywood Hotel. For more information, contact Jamie Barren at +1 (310) 749-9029.